Skeptophilia: Starchild skulls and "The Boy Who Cried Wolf"
Today's question is: at what point has a person made so many absurd claims that we are justified in no longer listening to anything (s)he has to say? It's the skeptic's version of "The Boy Who Cried Wolf." There are people who have repeatedly trotted out wild stories, stating that they have proof -- and then the proof turns out to be faked, misinterpreted, or just plain nonexistent. Unfortunately, though, this doesn't impel them to do what most of the rest of us would; apologize, issue a retraction, retreat into an embarrassed obscurity. No, many of these people become belligerent and combative, and back off for a short time only to issue further bizarre claims, stating that this time it'll be different, this time they really have hard evidence. I ask the question because of an article that has been making the rounds lately about the so-called "Starchild Skulls," a collection of elongated skulls that were discovered by archaeologist Julio Tello in Peru in 1928. The skulls are odd-looking, there's no doubt about that. 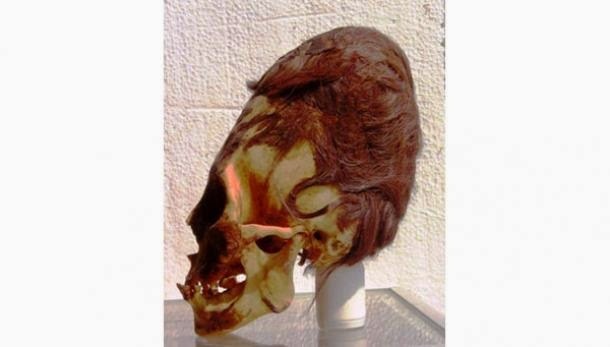 But the ancient peoples of western South America are known to have practiced frontal skull flattening, by attaching two flat boards to the front and back of an infant's head. So that should have been that. That probably would have been that if it hadn't been for Lloyd Pye, who declared that the skull was of a human/alien hybrid (he's the one who nicknamed it the "Starchild Skull"). Pye was an author and lecturer who frequently expounded on this topic and other fringe-y areas of science/pseudoscience, speaking with great authority despite apparently having only a bachelor's degree in psychology and no other particular qualifications as an expert. But Pye died of lymphoma last December, and it seemed like the whole thing was dying down. Enter Brian Foerster, who has jumped the "Starchild Skull" back into the news with an announcement that there has been genetic analysis of the skull and the results show that it is "clearly not human:"
So I started to try to find who it was that Foerster gave the samples to for genetic analysis. And guess who it turned out to be? Yes, dear old Dr. Melba Ketchum, she of the genetic analysis of Bigfoot, whose results were so abysmally bad that she refused to release them for months, issuing periodic tantalizing press releases about how groundbreaking they were -- only to have them labeled as bogus during the peer review process when she finally did submit them. Undaunted, she created her own scientific journal specifically to publish the rejected paper. Then, when the paper was published, it turned out that amongst her source citations were one that actually demonstrated the opposite of what she claimed it did, one that was about hoaxes... and one that stated, outright, that it was written as an April Fool's Day prank! My general feeling is that Dr. Ketchum has effectively used up all of the benefit-of-the-doubt she deserves. The fact that she is still at the whole "we have the data, and it's convincing, but we're not going to show it to you" illustrates to me that there is no particular reason we shouldn't laugh right in her face, and by extension, in Foerster's. I think we need a corollary to Carl Sagan's ECREE Principle (Extraordinary Claims Require Extraordinary Evidence). Let's call it PHRREE -- Proven Hoaxers Require Really Extraordinary Evidence. It may be that this time, finally, Melba Ketchum has the goods, and she'll be vindicated. I think I'm to be excused if I am inclined to doubt it. And given her track record, it is incumbent on her to prove herself -- using the time-honored and reliable road called "peer review." And until such time as she does that, and has her and Foerster's "research" published in a reputable scientific journal, I think we're well within our rights to ask them both to shut the hell up.